Looking for a great photographer in Orange County? Let's talk about your engagement session. 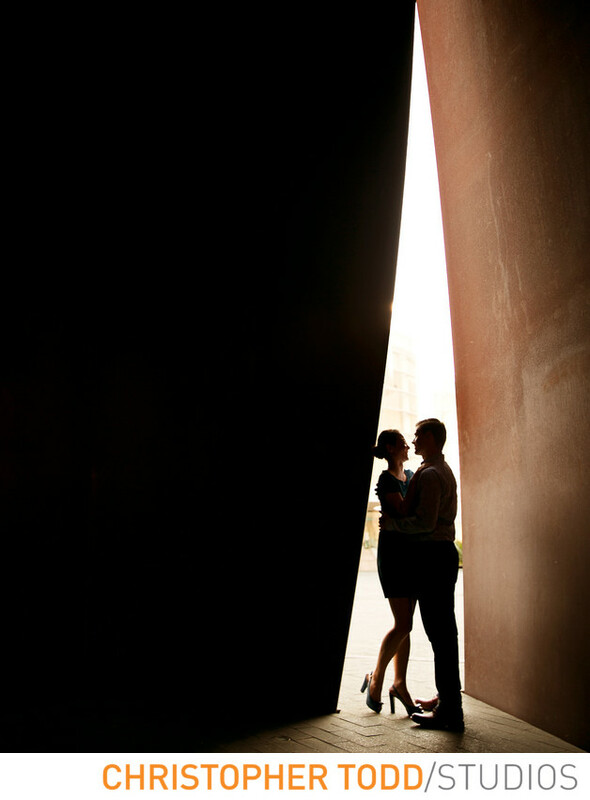 This photo is of a couple in love at segerstrom center. We know how important it is to have pre-wedding photos. As a result, we can help you achieve this with unique portraits. Why hire Christopher Todd Studios? We always strive to take the best photos during an engagement session. When we first talk on the phone we begin planning. Going over your expectations and your vision is one of the ways we are successful at delivering unique portraits. Get in touch today. We would love to hear from you. 1/100; f/2.8; ISO 100; 24.0 mm.